Léon Indenbaum went to the heder until he was thirteen. He then studied at a traditional school, where he learned how to work wood. His director noticed his talent and offered him a scholarship to study at the School of Fine Arts in Odessa. There, he worked in clay and carved wood. He then studied at the Antonolski Art School in Vilnius. He was fascinated by the stories that he heard about the artistic atmosphere in Paris. With the help of an engineer from Vilna, he arrived in Paris in 1911 and settled at Mietschaninoff’s studio at La Ruche. He lived at the second floor, near Chagall’s studio, and then moved to Volovick’s. From 1911 to 1919, Léon Idenbaum studied sculpture under Antoine Bourdelle at the Académie de la Grande Chaumière. Bourdelle was fond of him and called him “my young protégé.” In 1912, three of his sculptures were exhibited at the Salon des Indépendants. He made friends with Modigliani, who he put up before helping him to rent the adjoining studio. 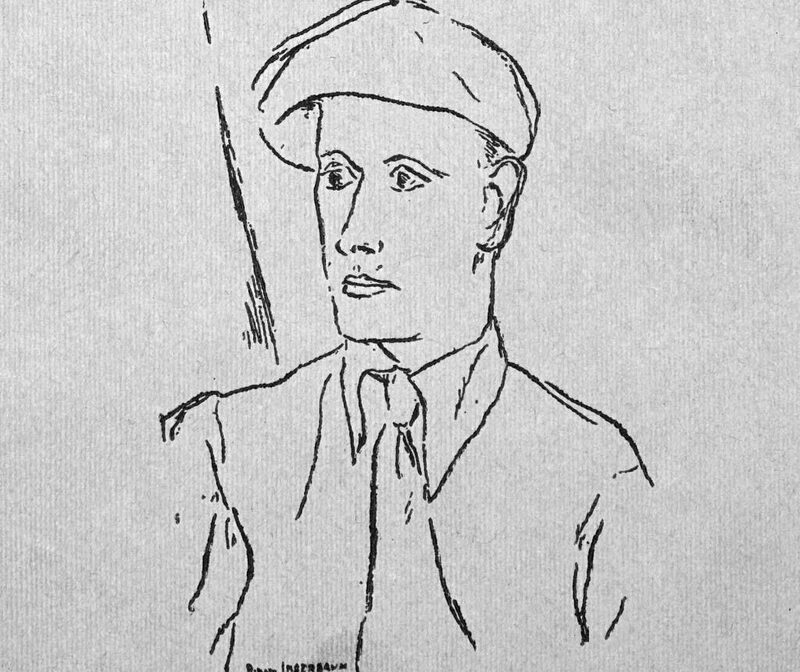 Léon Indenbaum’s first patron was the famous fashion designer and collector Jacques Doucet, for whom he produced several panels before the Crash of 1929. In addition, he created sculptures for the decorator Coard and the couturier Paul Poiret. He also worked for the brothers Georges and Marcel Bernard, bankers and collectors, until they were ruined in the Crash of 1929. In 1925, he successfully exhibited two sculptures at the Salon des Indépendants, of the bust of a young woman and a woman lying down. Léon Indenbaum was not very sociable and hated publicity. He worked discreetly, and believed that an artist should not care about being famous and should not be distracted by social life. During World War II, he hid from the Nazis. Many of his works disappeared or were destroyed. Following the war, Indenbaum continued to work and remained discreet. He died at his daughter’s house in Opio, in the Alpes- Maritimes.